Recently, my family and I took a vacation to Florida for a couple of weeks (our nearly annual trip, it seems). We piled everyone into the car and drove down. Something I say that I'll never do again, every time we do it. Ha. We spent most of the two weeks on the beach with my husband's grandmother, collecting shells and shark teeth and enjoying the 80 degree weather. While everyone at home was getting pummeled with snow storm after snow storm and several feet of snow. Seriously, I wait all winter to have an actual winter, and as soon as we leave, it snows! I was disappointed to miss all the fun. Oh well. We also went to a few theme parks with the kids. Legoland was a huge hit with the kids. They are the perfect age for it, so they were able to enjoy it to the fullest. We checked out the Kennedy Space Center. Let me tell you, that is THE coolest place ever! I would totally go back. I definitely recommend giving yourself an entire day. It's a little pricey to get in, but it is worth it. There is so much to see and so much information to take in. And, there are some great interactive things for the kids, so they can enjoy themselves as well. On the way north, we stopped in St. Augustine for two days so I could visit my elderly relative. We also took the time to check out the really cool fort in the old city. We got lucky in timing and got to see men in colonial-era clothes demonstrate firing a canon. The kids thought that was pretty awesome. It was a great trip overall, but it is always nice to be home. Now that I am home, I can focus on food more. I have SO many recipes to share with you guys. I seriously can't even keep up with myself! Some great desserts, bread, and dinners are in your future. In honor of if being maple syrup season, I am going to share an amazing dessert. This is actually the first of several maple syrup desserts I have to share. Who doesn't love maple syrup? We buy a gallon jug of local maple syrup and I have it with my yogurt almost every morning. It's an excellent, natural sweetener. So, this dessert idea actually came from my brother's mother-in-law. My brother got married to an amazing woman last summer (and they actually just had their first child! So excited to be an auntie again). They had a beautiful outdoor wedding at his wife's family home in northern Vermont. We're talking mountains, sunset, green grass, the works. It was gorgeous! Where I am going with this is, my brother's wife's family, particularly her mother, did all the cooking for the wedding. Mouth drop. And the food was spectacular. How they pulled that off without having a total meltdown is beyond me. I don't think I could do it. Anyway, this maple cream pudding was one of the choices (out of many I must say) on the dessert table. I might have had two jars of it. It was so good and so creamy. Of course, I had to ask my new sister-in-law's mother for the recipe. She graciously shared it with me. And now, I have to share it with the rest of you! 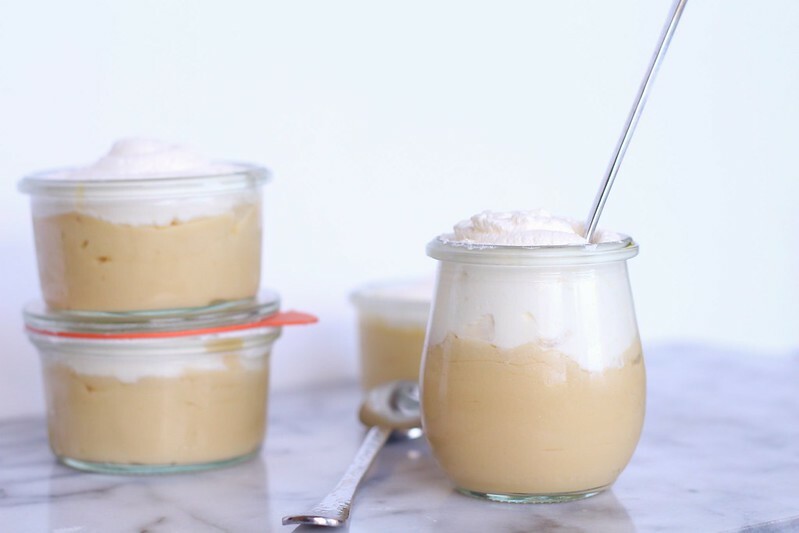 This dessert is really quite simple, but so delicious. 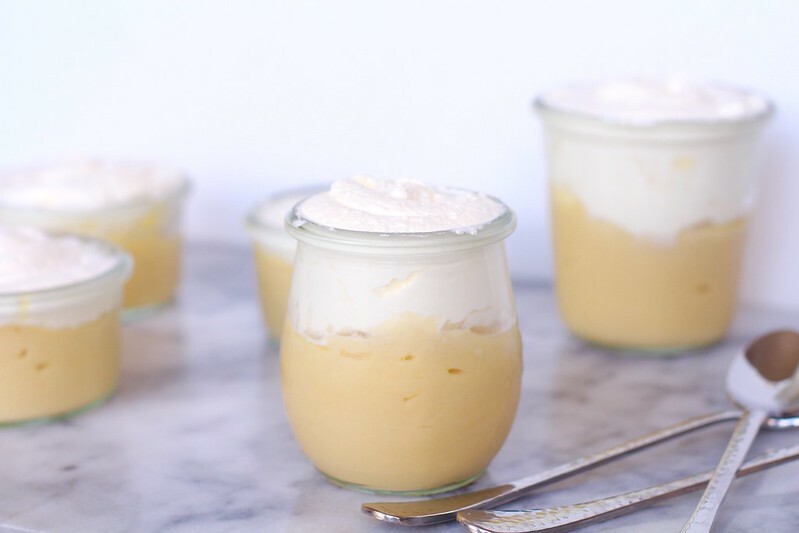 It's creamy, sweet, perfect pudding. It's great to make for a guests, or just for yourself. 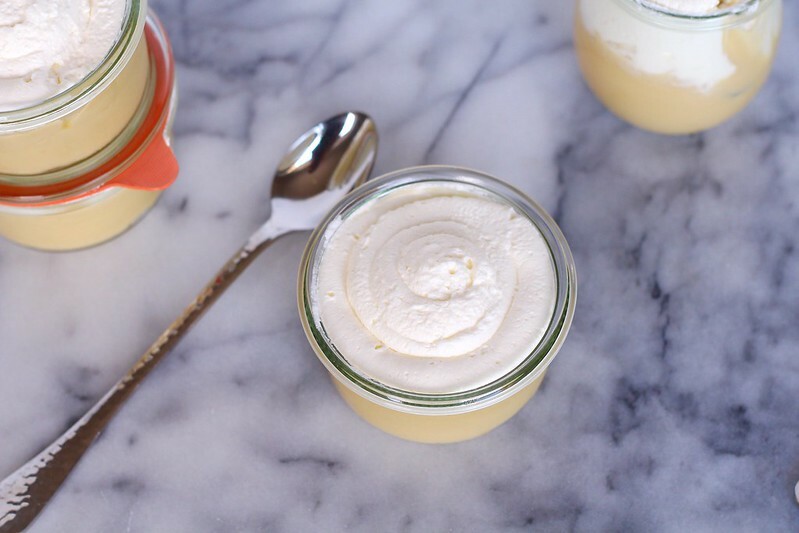 If you've never tried making pudding before, don't hesitate to make this! It's so worth it. Have ready a large serving bowl, or individual bowls or jars. Whisk the half & half, maple syrup, egg yolks, brown sugar, cornstarch, and salt together in a medium saucepan. Cook over medium heat, stirring constantly, until the mixture boils and thickens, about 10 to 15 minutes. Remove from the heat and whisk in the vanilla extract. Pour the pudding into your desired serving dish or dishes. Cover with plastic wrap, pressing down on top of the filling so it doesn't form a skin. Let refrigerate for at least 4 hours, or preferably overnight. 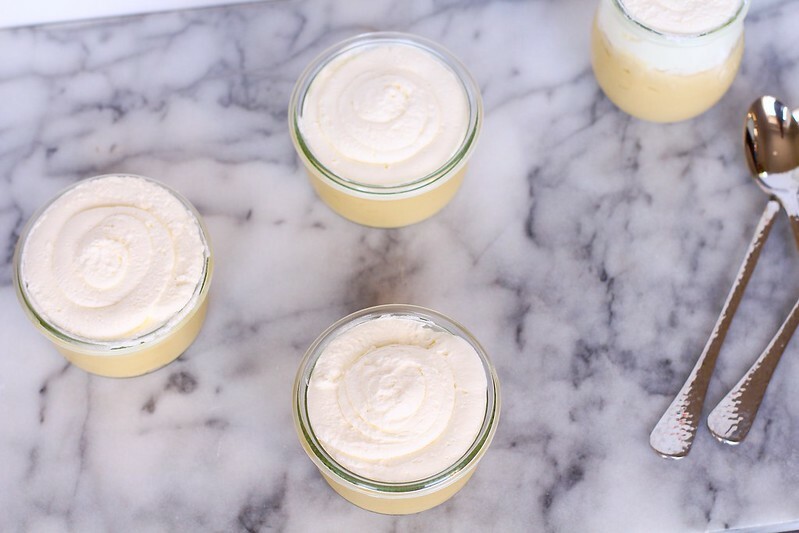 The following day, or when ready to serve, make the whipped cream. 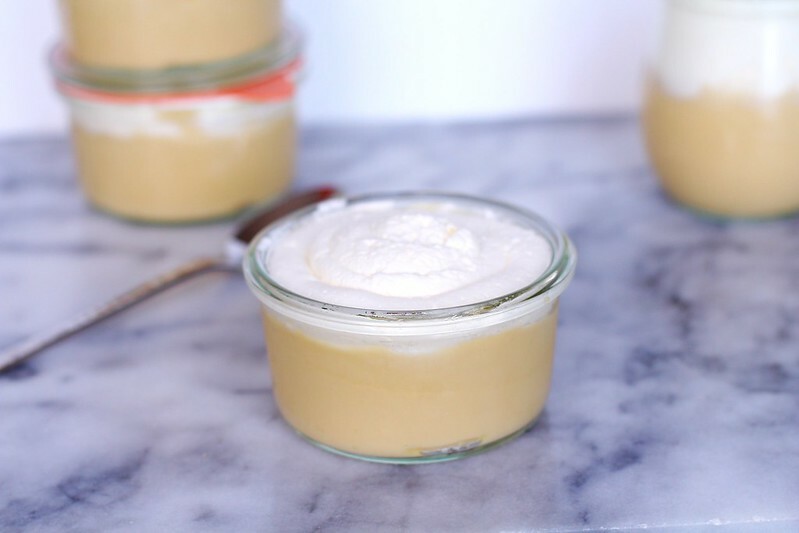 In the bowl of your stand mixer fitted with the whisk attachment, beat the heavy cream, vanilla extract, and confectioners' sugar together until soft peaks form. Spread or pipe over the pudding. Serve immediately. *The pudding is best assembled and served the day after chilling. Otherwise, a small bit of liquid will release and cover the pudding.